This proprietary high solids metal interlocked UHS finish with new SPT - Synergistic Polymer Technology,Â which incorporates the best properties of several polymers in a synergy that is unsurpassed to create aÂ uniquely formulated UHS finish. 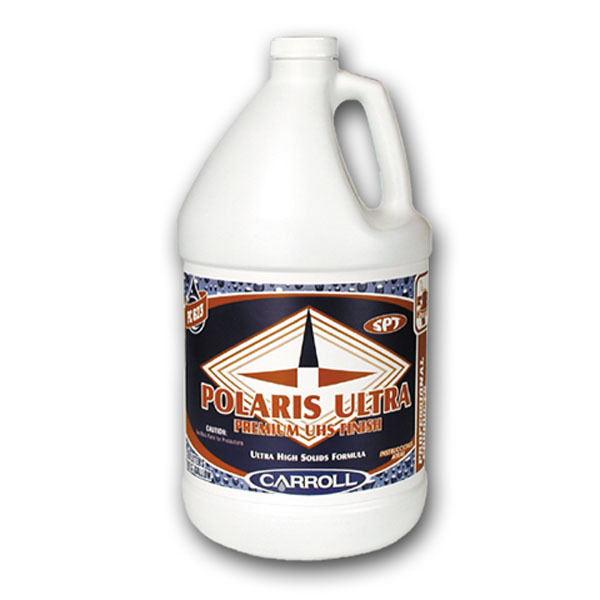 Polaris Ultra is designed to respond in a UHS maintenance program. ThisÂ premium floor finish is formulated to provide outstanding gloss and durability. Designed to be applied inÂ high traffic situations and appearance is important. The premier polymer formulation is built withÂ incomparable gloss, durability, repairability, and slip resistance in mind. It is tough enough to resist wearÂ between maintenance procedures and reduces overall maintenance costs.